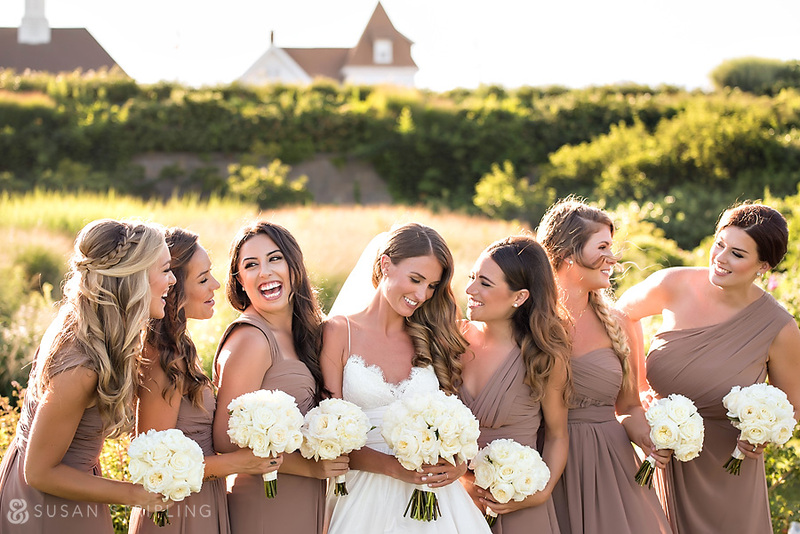 This Ocean House wedding marked my first time in Watch Hill, Rhode Island. I’ve photographed in Mystic, Stonington, and nearby Newport, but never Watch Hill. After spending a glorious summer Saturday there, I’m already ready to go back. 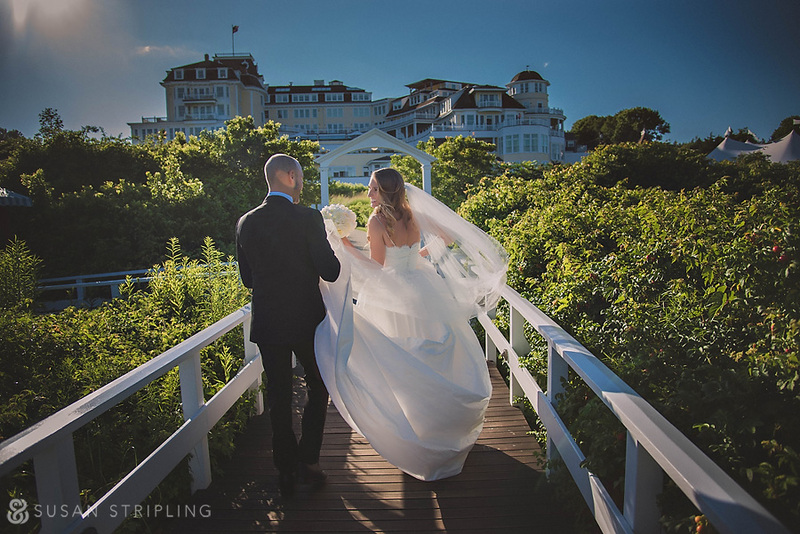 Situated on the tops of the Watch Hill bluffs, the Ocean House is one of only five US resorts to obtain the prestigious triple Five-Star honor. From the private beach to the croquet lawn, the putting green to the Watch Hill Chapel, every square inch of this property is meticulously designed and maintained. 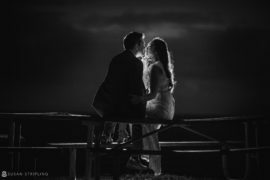 Danielle and Chris were glorious to work with, and a delight to photograph. I know this won’t be my last time in Watch Hill – maybe next time I’ll even run into the Ocean House’s best-known neighbor, Taylor Swift! We started the day in the Morgan Suite at the Ocean House. This two-floor suite was inspired by the interior of yachts. There really are no words for how meticulously, flawlessly designed the space is. You truly do have to see it to believe it! 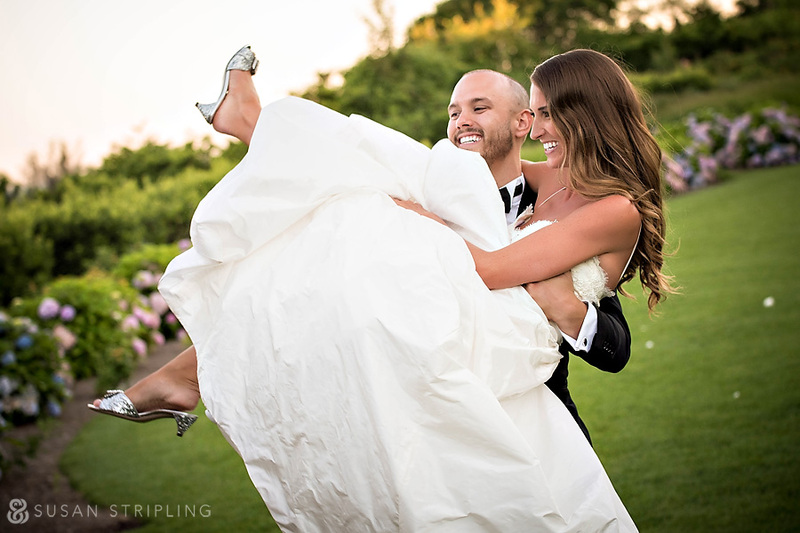 Ever the practical fashionista, the bride had two pairs of shoes for her wedding day. Her ceremony shoes were gorgeous jeweled Miu Miu slides. Her reception shoes were these fantastic blue Manolo Blahnik flats. 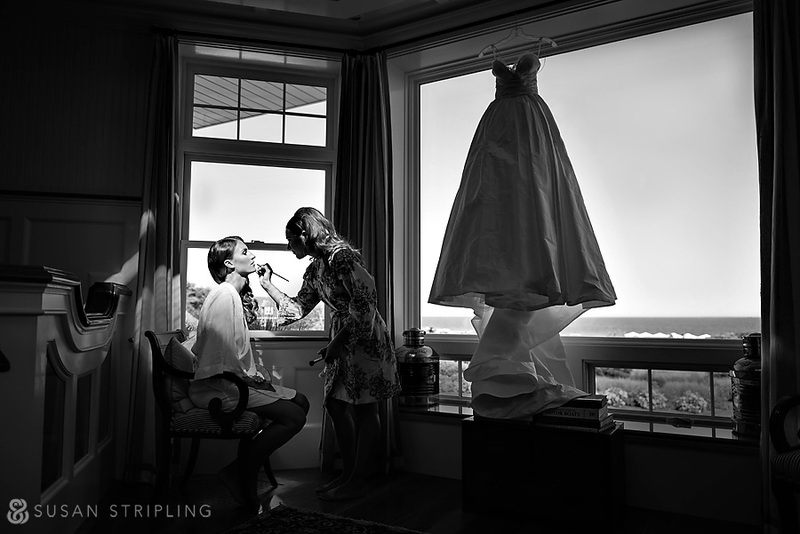 Before putting on her delicate, gorgeous Amsale gown, Danielle had her hair and makeup touched up. I love the beautiful light on her here! 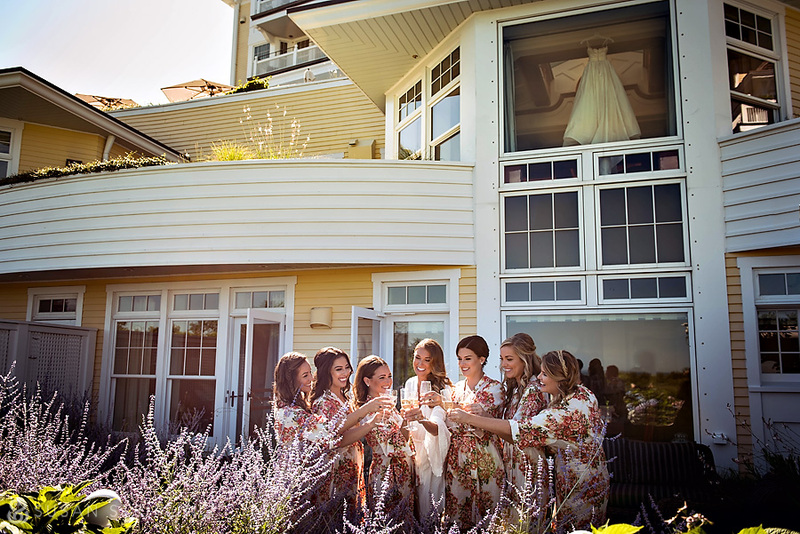 After her hair and makeup touch-up, Danielle stepped outside with her bridesmaids for a quick champagne toast. The sky was the most vibrant, unbelievable blue! Danielle got dressed on the top floor of the Monroe Suite. The light was brilliant! 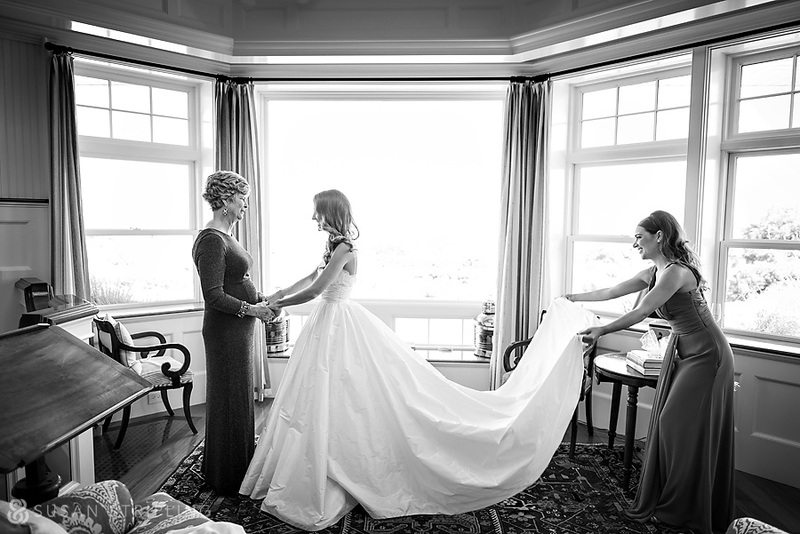 The bride’s Amsale gown was really beautiful. 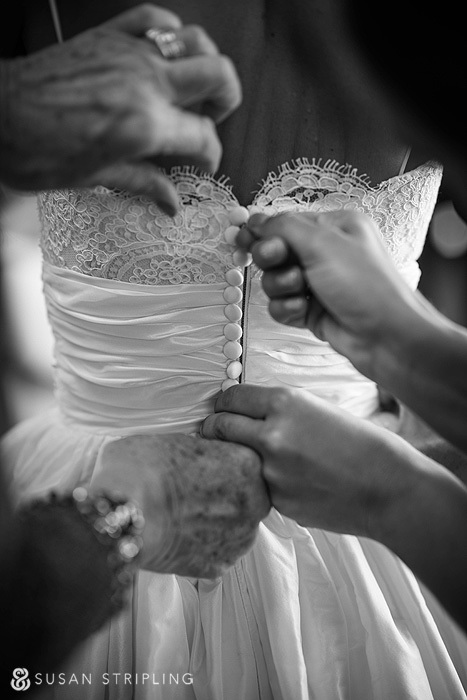 The delicate lace was a sweet touch, and the fabric was light and billowy. Perfect for a beach wedding! Danielle and her mother have a wonderful relationship. 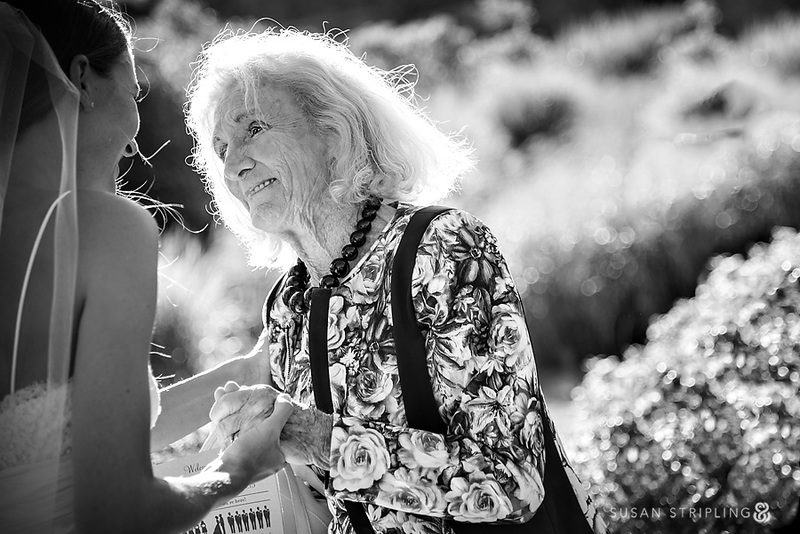 There are so many tender moments between these two women all day long. It was an honor to document them all. Before the ceremony, I had a few moments to take some portraits of the bride with her bridal party. 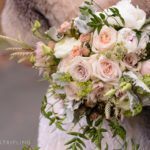 The bride’s bouquet was decorated with special keepsakes. I love how it personalizes the bouquet in such a meaningful way. 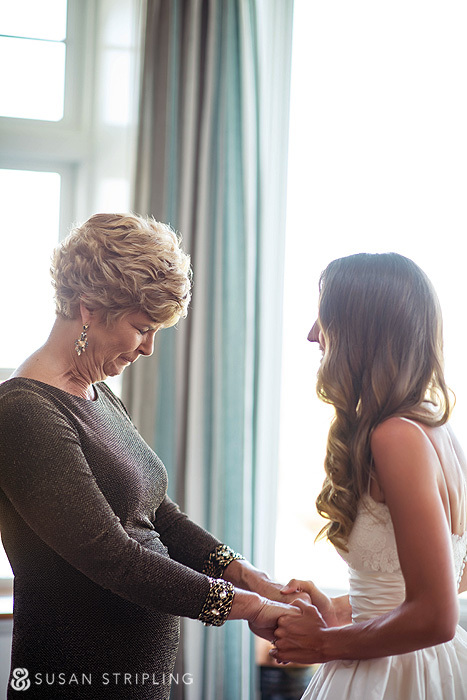 See what I mean about beautiful moments between the bride and her mother? 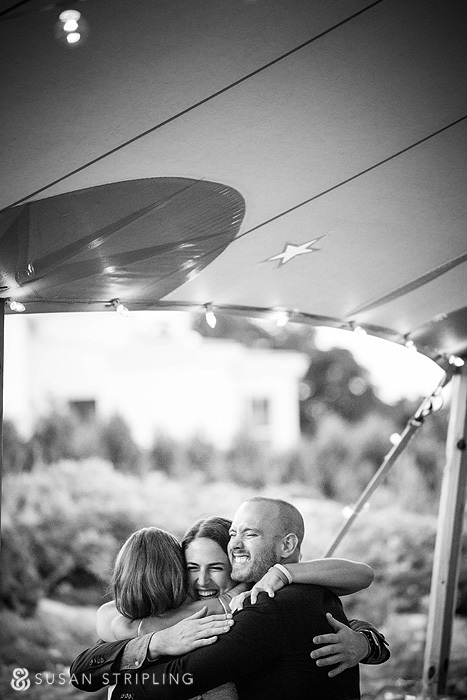 The best moments are totally unscripted! 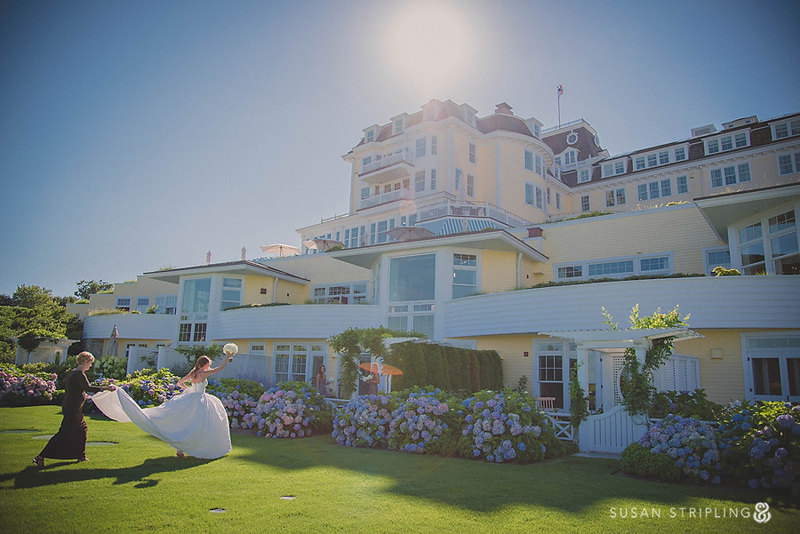 As Danielle and her mother walked back to the Ocean House, she raised her bouquet in the air with excitement. 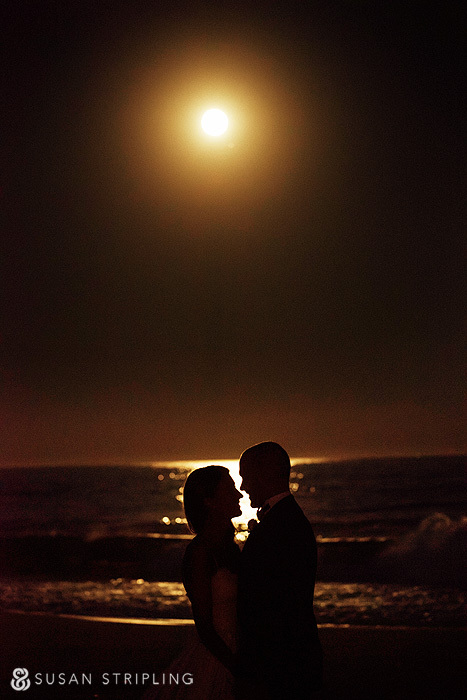 Danielle and Chris were married at sunset, right on the beach. I love the contrast of the bright white flowers with the brilliant blue sky. 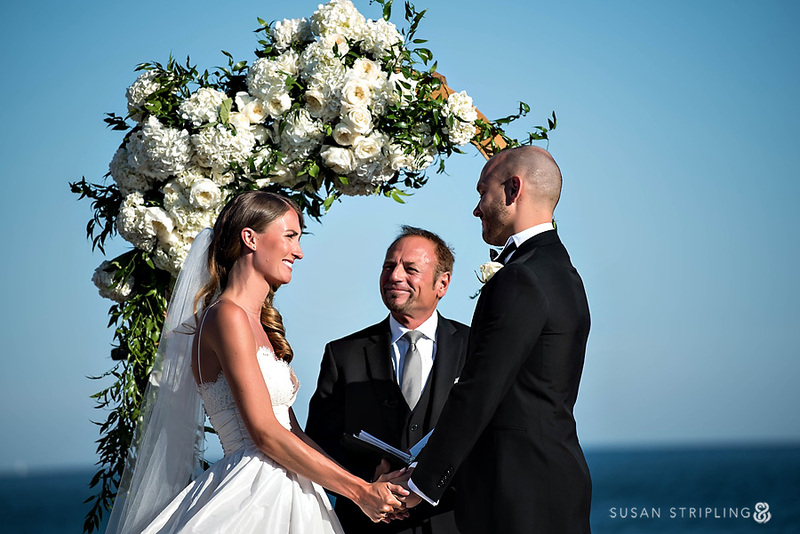 After the ceremony recessional, the bride and groom paused for a moment by the Ocean House beach pavilion. There are no words for how much I love this moment! 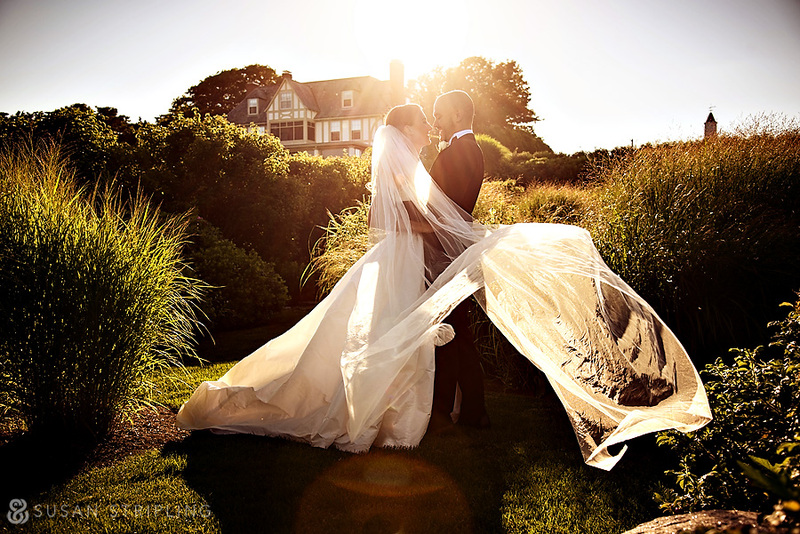 After the ceremony, it was off to the Ocean House meadow for some family portraits! 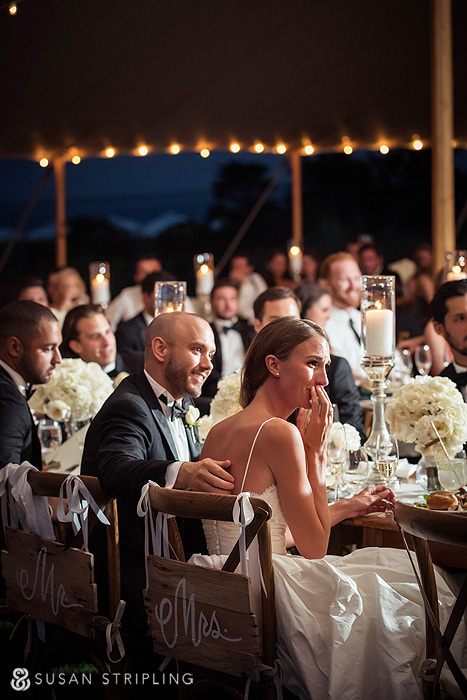 The bride and groom had a few moments alone before their family joined them in the meadow. 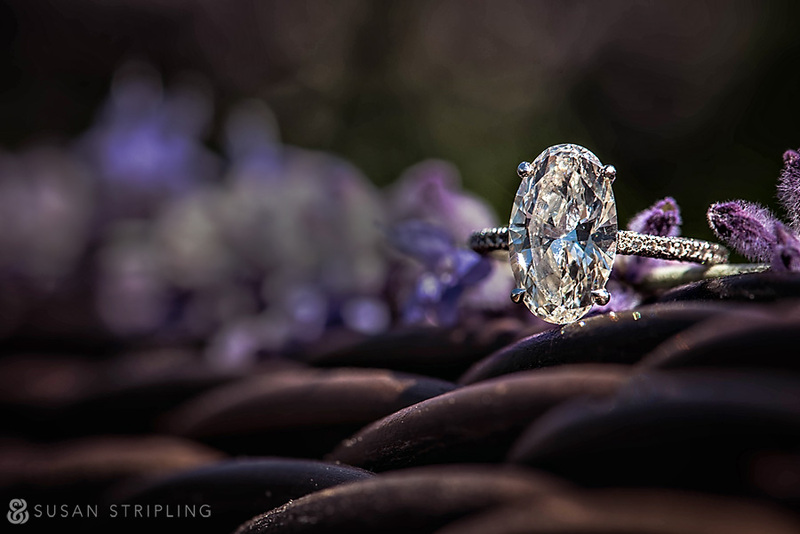 I love this image of Danielle checking out Chris’ new ring! 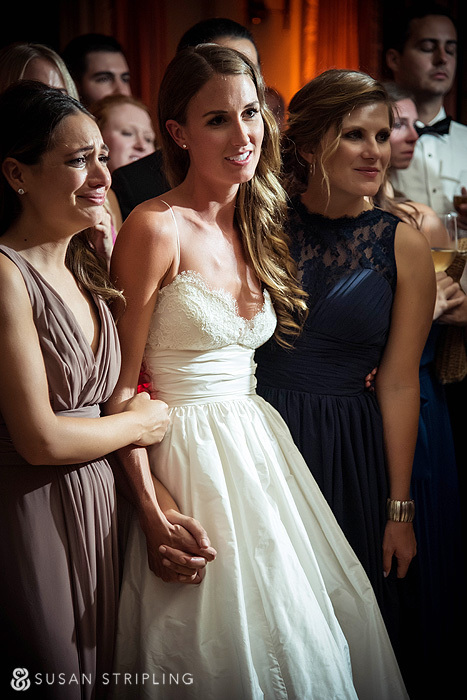 Once the family arrived, each person had a few seconds with the bride and groom. The resulting moments were incredible. 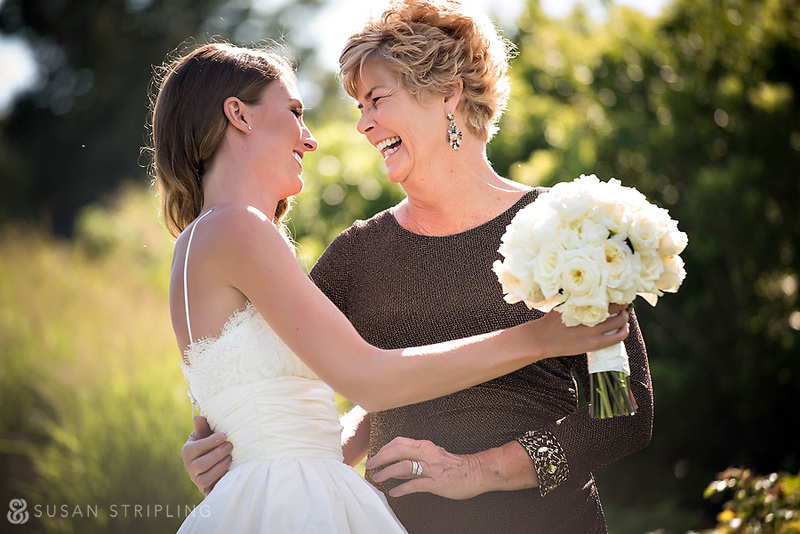 We photographed the bridal party in the meadow, then moved on to portraits of the families. After the family portraits and bridal party portraits, we sent everyone off to cocktail hour except the bride and groom. 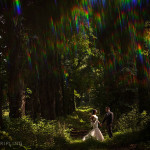 I had few more moments with the two of them before sending them to their party as well! The light was brilliant and warm, the perfect summer sunset. Danielle and Chris are remarkable in front of the camera. They are so kind to each other, and such delightfully genuine people. The light in the meadow was so spectacular, I had to borrow Danielle for a few more bridal portraits. After photographs in the meadow, I headed to the beach with the bride and groom. 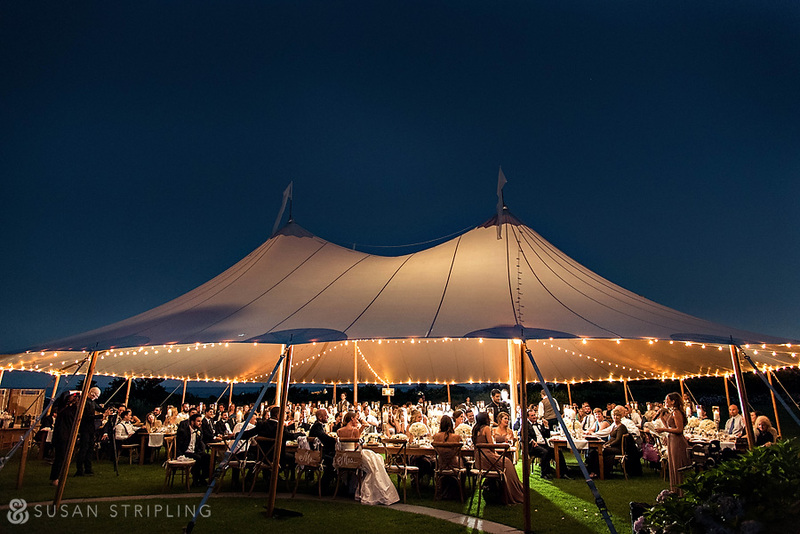 The entire bridal party and family were introduced into the dinner tent one by one. When they were entering, Chris scooped up Danielle and carried her in! The father of the bride, maid of honor, and best man all gave toasts during dinner. 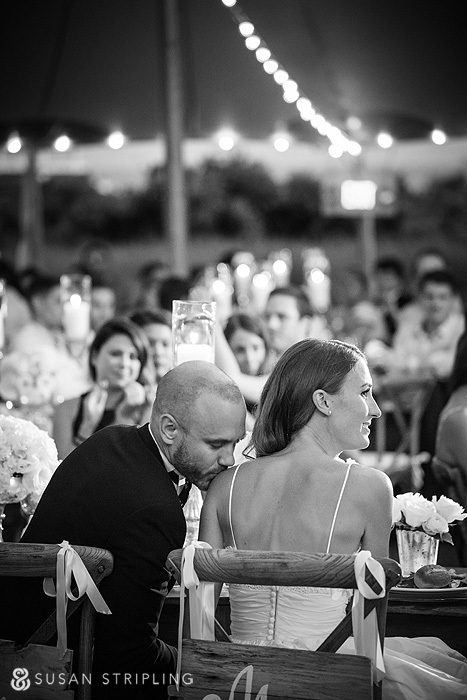 I love this sweet moment between the bride and groom while her dad was talking! 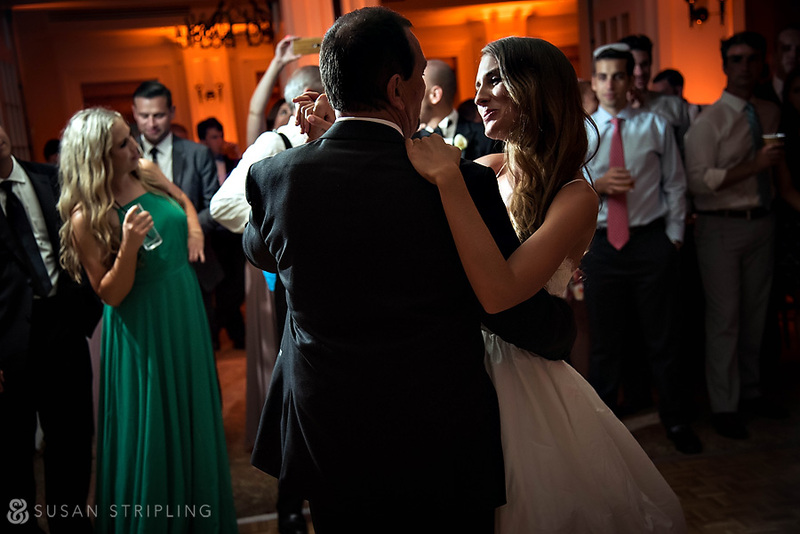 Danielle and her dad are so lovely! His toast was so sweet, and so very loving. 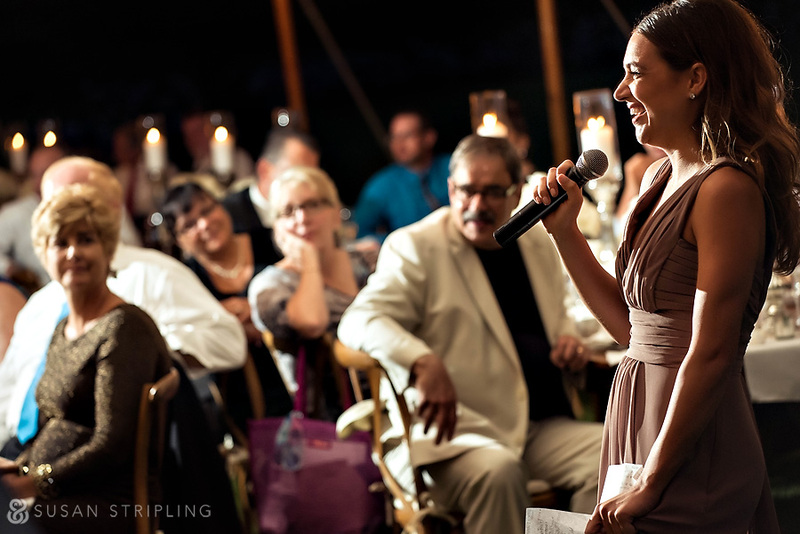 I always love hearing the toasts at the reception. 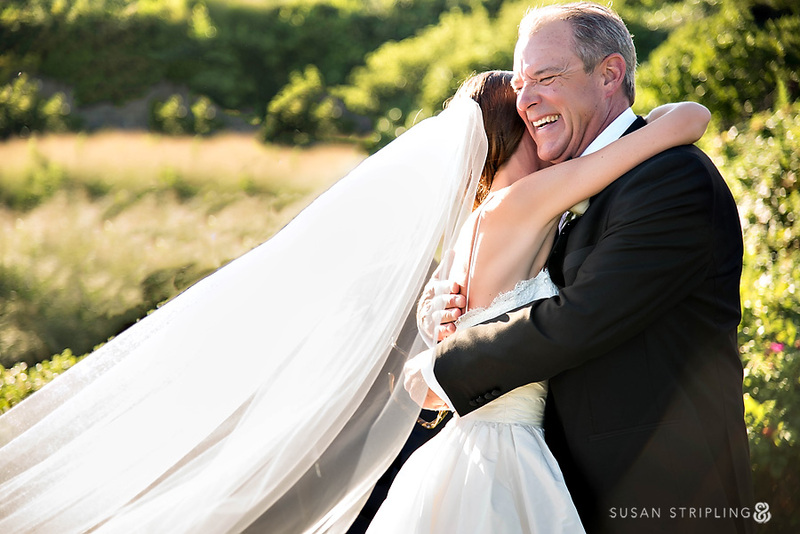 It’s so sweet to hear how very beloved the bride and groom are – and sometimes you get to hear great stories, too! 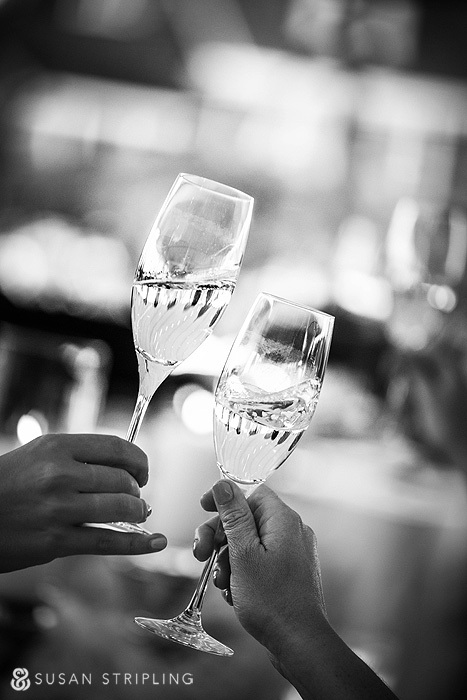 There is something so timeless about a crisp black and white image! 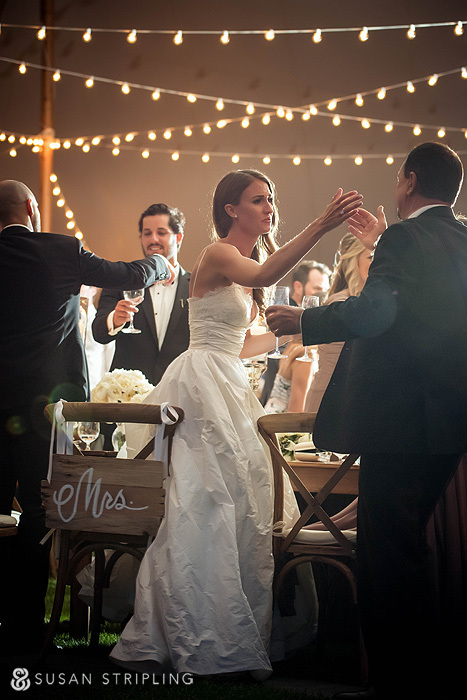 Don’t you love the rustic charm of the Mr. and Mrs. signs on the backs of the chairs? 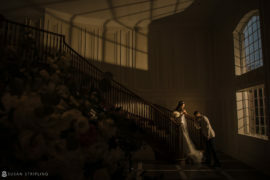 The decor was beautiful, and suited the mood of the wedding perfectly. Chris is so kind to Danielle. 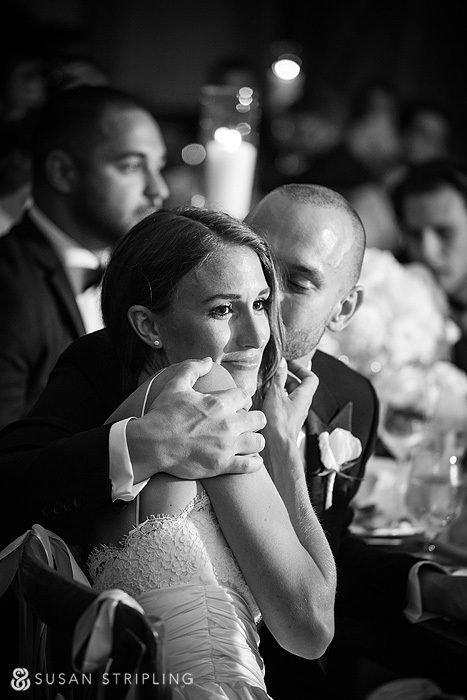 I love how sweetly he held her during the more emotional moments of the speeches. I love Sperry tents. They are so classic, and so elegant. Dinner was outdoors under the tent, before moving indoors for dancing and partying! As the guests were moving from the dinner tent to the reception ballroom, I had a few more seconds with the bride and groom alone. 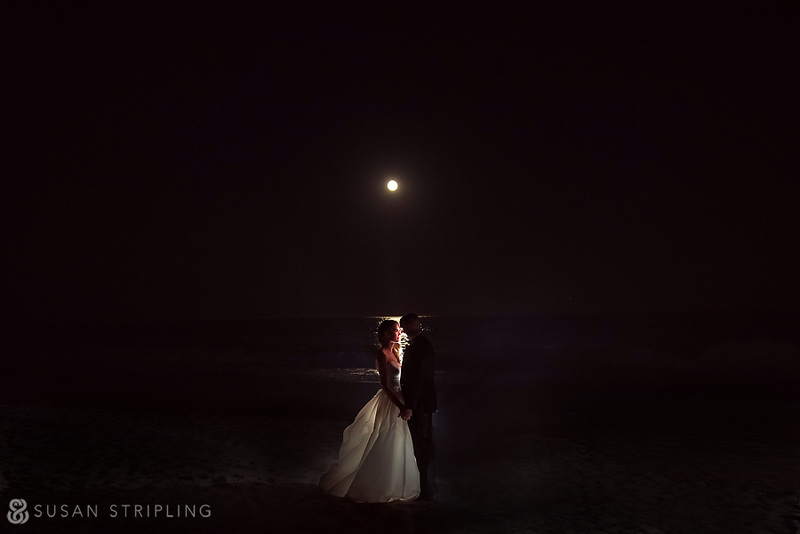 Danielle and Chris were great troupers, willing to go to the beach in total darkness! 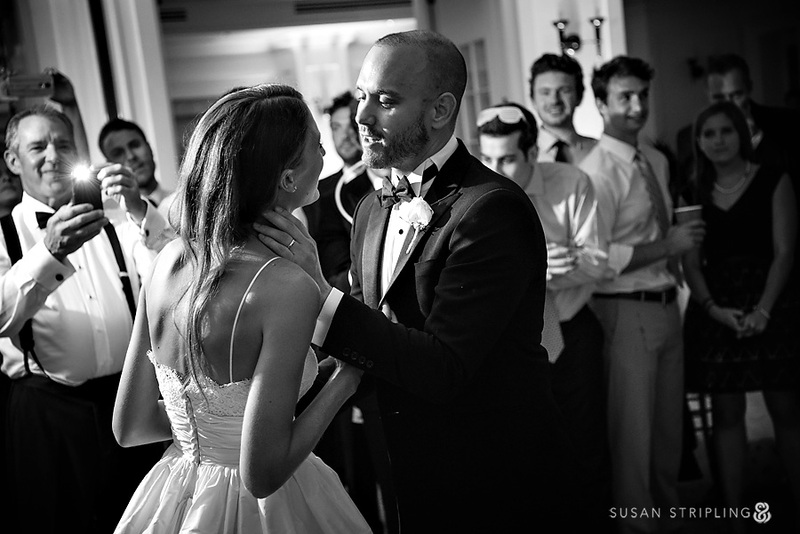 Once in the Ocean House ballroom, Danielle and Chris shared their first dance. 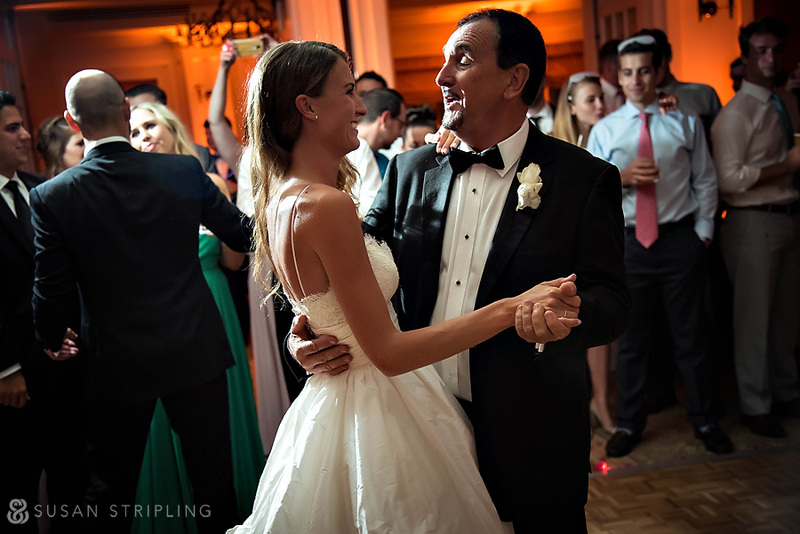 After the first dance, Danielle shared a sweet dance with her father. I love the amber uplights in the ballroom. It gave the room a great warmth and depth. 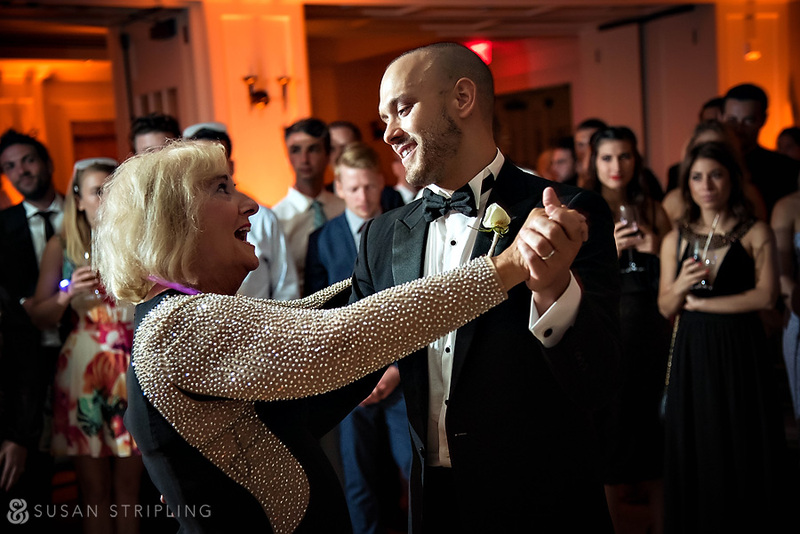 Chris danced with his beloved Godmother. I LOVE her facial expression here! 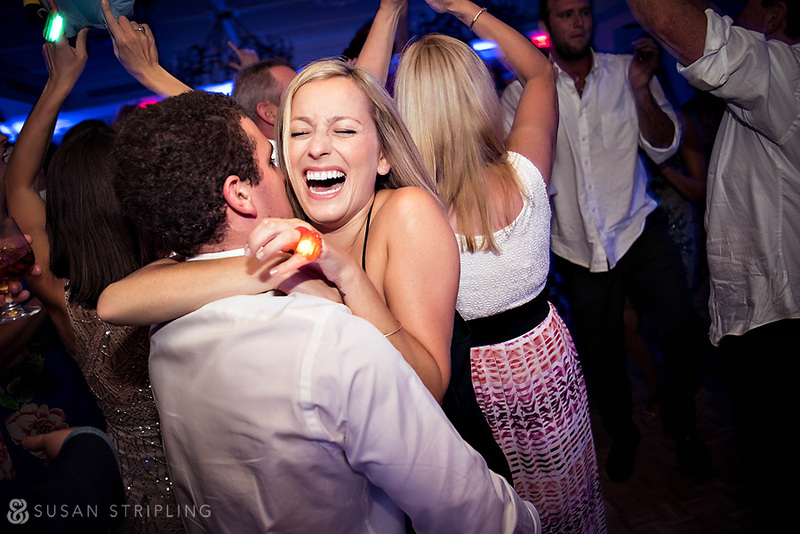 I adore the reactions to the groom’s dance! 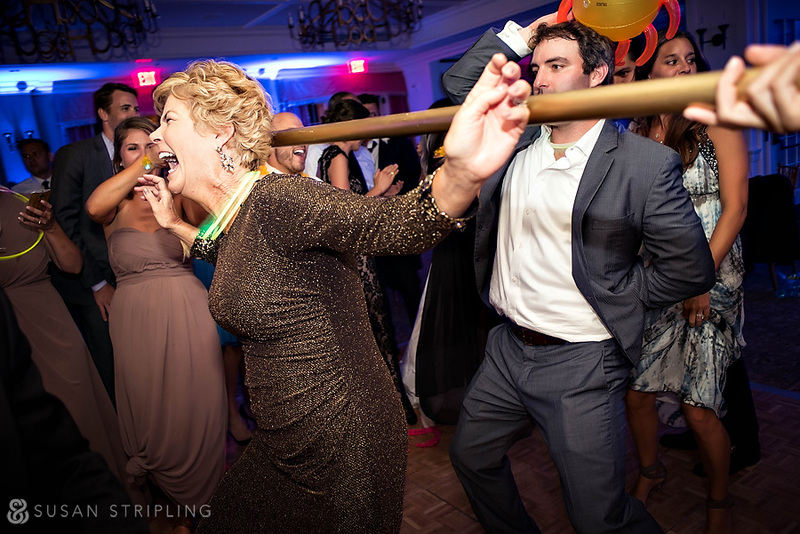 It’s not really a party until the limbo stick comes out, right? 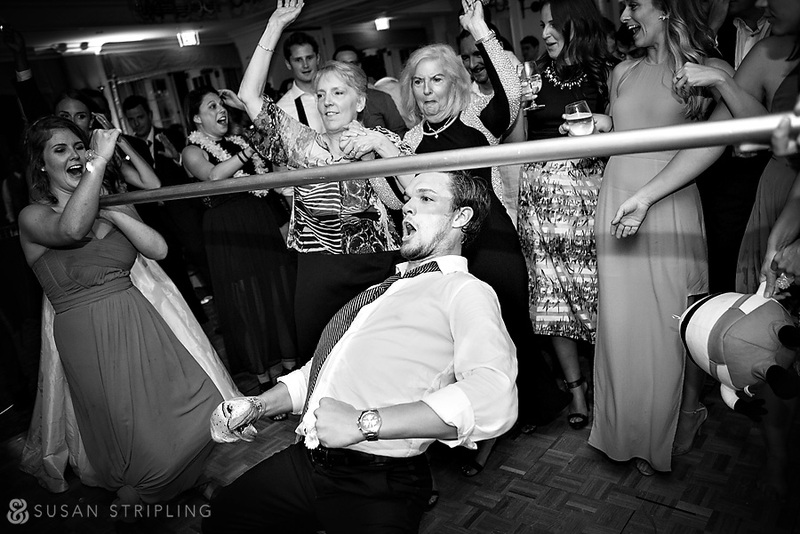 …even the bride’s mother got in on the fun! The dance floor was completely packed from start to finish. One more beach picture? Of course! 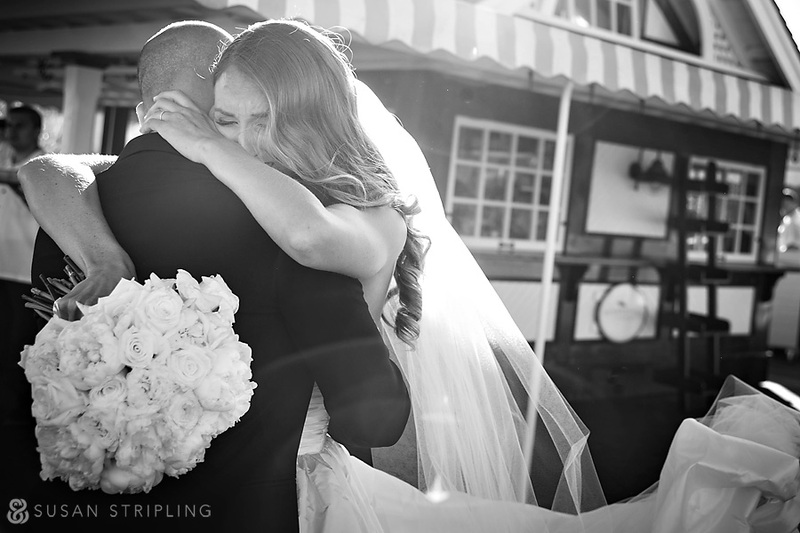 Danielle and Chris, it was so wonderful to travel to Watch Hill to spend your wedding day with you! From the phenomenal weather (no rain plans!) to the fantastic party, every bit of your day was perfect. 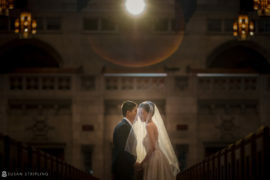 I hope you’re having a wonderful honeymoon trip, and I can’t wait to share the rest of your images with you soon!